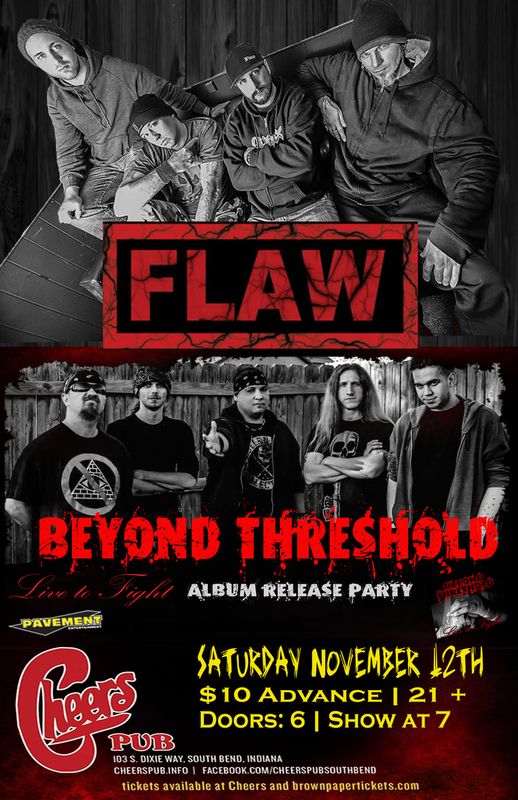 Saturday, November 7th!! 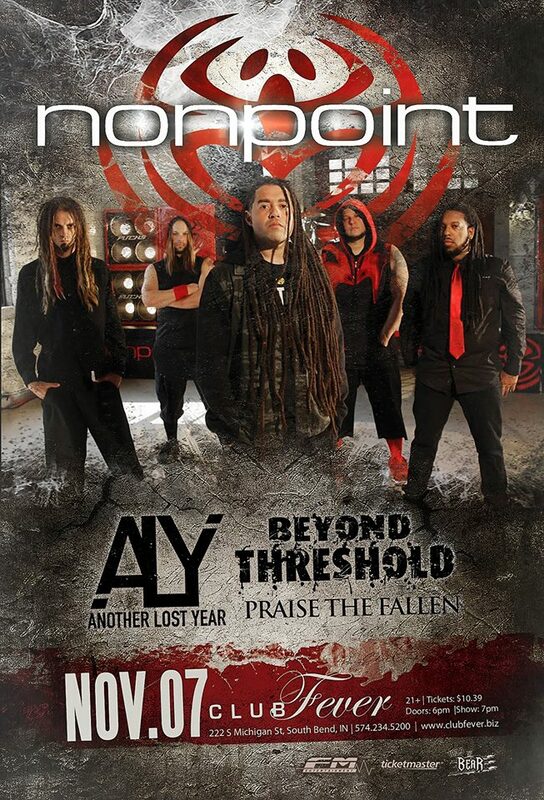 Nonpoint wsg: Another Lost Year, Beyond Threshold & Praise The Fallen 2015 at Club Fever in South Bend, Indiana!! SOUTH BEND, INDIANA DIEHARDS!!! 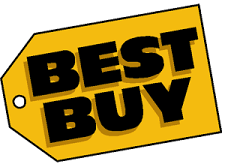 Friday, September 12th!!! 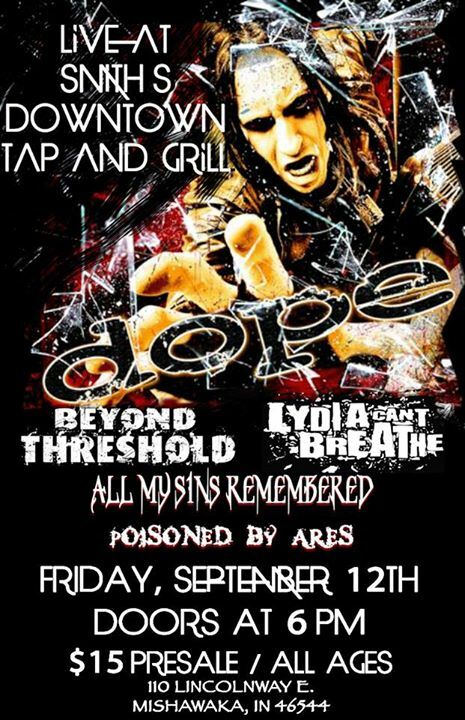 + DOPE + & Beyond Threshold, Lydia Can’t Breathe wsg: All My Sins Remembered & Poisoned By Aries at Smith’s Downtown Tap and Grill in Mishawaka, IN – ALL AGES!!! 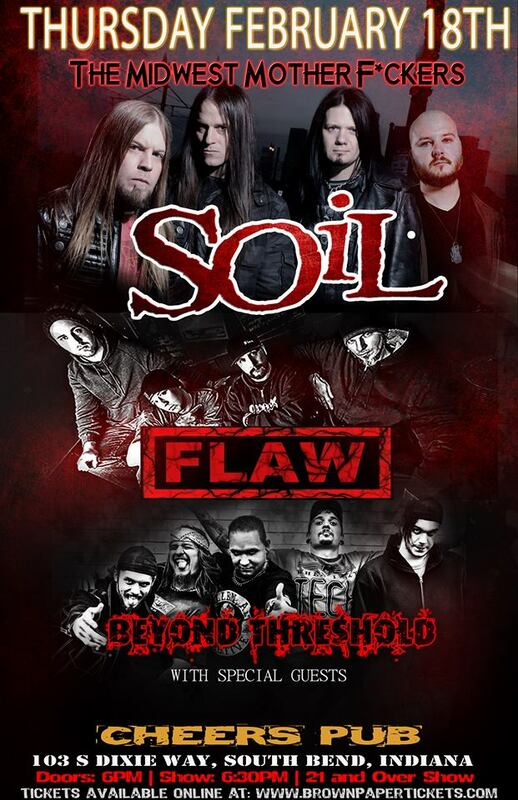 Get ready South Bend, Indiana area DIEHARDS!! Sunday, August 10th!! 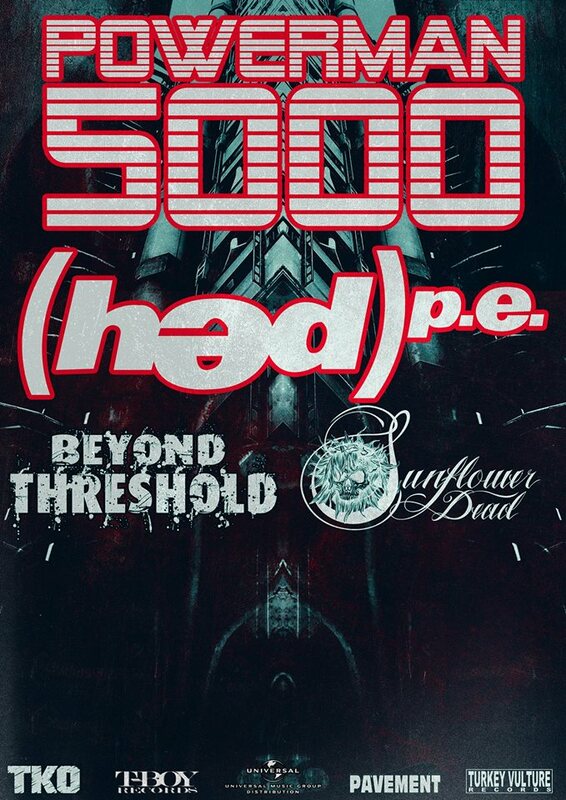 Powerman5000, Hed PE, & Beyond Threshold wsg: Sunflower Dead come to Smith’s Downtown Tap and Grill in Mishawaka, IN – ALL AGES!! !